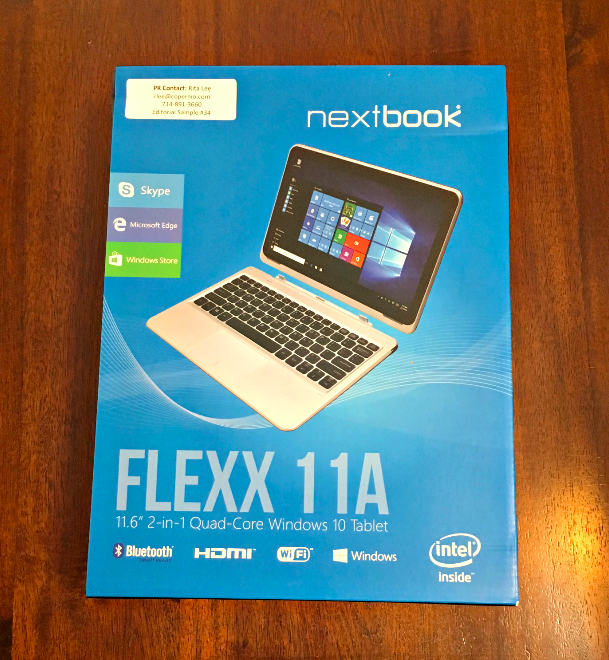 #ad I received a Nextbook Flexx 11A Windows Tablet to facilitate this review. Thoughts are my own. We don’t really need a lot of gadgets to survive. As long as we have one or two that help us get connected when we need to — especially when it comes to work and family stuff — we should be good. But there are times when I prefer one gadget over another. Like when I’m working on any document on Microsoft Word or Excel, or Powerpoint, I would always still prefer working on a laptop or desktop with an actual keyboard than on a tablet or cellphone. It’s just a lot easier. 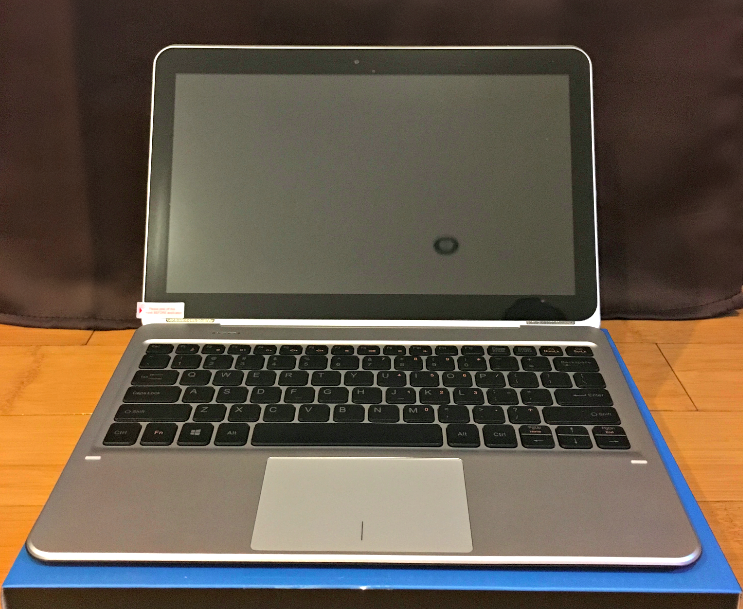 The Nextbook Flexx 11A is the the answer for those of us who prefer the interface of a full-on desktop PC, but need the portability of a tablet. 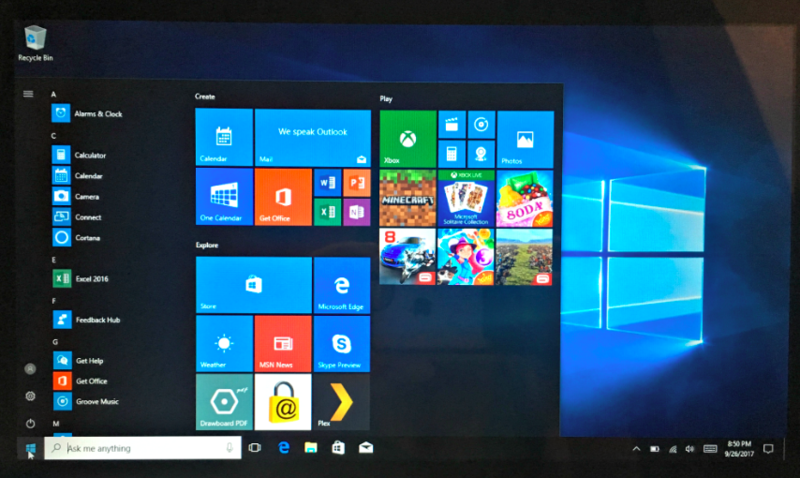 It supports Windows 10 OS and comes with a pogo keyboard that can be disconnected any time (so you can use it as a tablet), and connect (so you can use it as a laptop when you need a high-performance, complete mobile computing solution). The Nextbook Flexx 11A has an 11.6” screen which is a little bigger than standard size tablet and pretty much the same size as small laptops. It has 16:9 aspect ratio and 1366 x 768 resolutions (IPS), so the Flexx 11A delivers great image quality for any user no matter the age. Another thing that I love about the Nextbook Flexx 11A is that it has 64GB of internal memory that can be expanded by another 64GB with its microSD card slot. I mean, really, who can’t use some extra storage, right? I’m glad I won’t have to worry about having to delete photos and videos — at least not for the next year or so! You can do with the Nextbook Flexx 11A pretty much anything you can think of doing on a desktop PC or a tablet. With its built-in Wi-Fi and Bluetooth support for easy internet connection, you can go ahead and listen to your favorite music, watch videos on Youtube, read ebooks, play games, do work or homework, research, or update your social media pages. It has easy access to the Windows Store, which offers hundreds of thousands of music, movies, games, and social apps, as well as tried-and-true Microsoft legacy apps that businesses around the world have successfully used for years. A huge plus for any business traveler! You can do all that — and you don’t even have to shell out anything more than $200! Yes! And Walmart currently has special value pricing for it, so now is definitely the time to think about buying one. Now, I’ve been using my new Nextbook Flexx 11A for a few days already, and I must say I’m loving it. 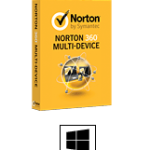 I have not encountered any problems with it in the days that I’ve used it as my main laptop. No, it’s not as fast as my Macbook Air. Obviously, it would be unfair of me to compare this $179 tablet PC to a $999 computer. But this Tablet/PC works and gives me the features I want and need. So yeah, I would definitely recommend the Nextbook Flexx 11A to anyone who’s on a budget and wants a computer that can give you the portability of a tablet and the interface of a laptop. Update 10/13/17: As I continue to use the Nextbook Flexx, I notice that there are times when it takes 2-3 seconds for it to respond to clicks — especially while playing a game. I guess the system may be having a bit of a hard time having to deliver both heavy graphics and sounds in addition to my quick clicks. So I should say that this tablet PC isn’t really for gaming. I don’t have issues when simply browsing the internet or working on a Word document, but I’ll probably go back to my iPad for games and maybe anything that requires fast clicks. For complete Flexx 11A product details, visit www.nextbookusa.com. This Nextbook Flexx 11A Windows Tablet is available for purchase at Walmart stores and online at Walmart.com at a special value pricing of $179! 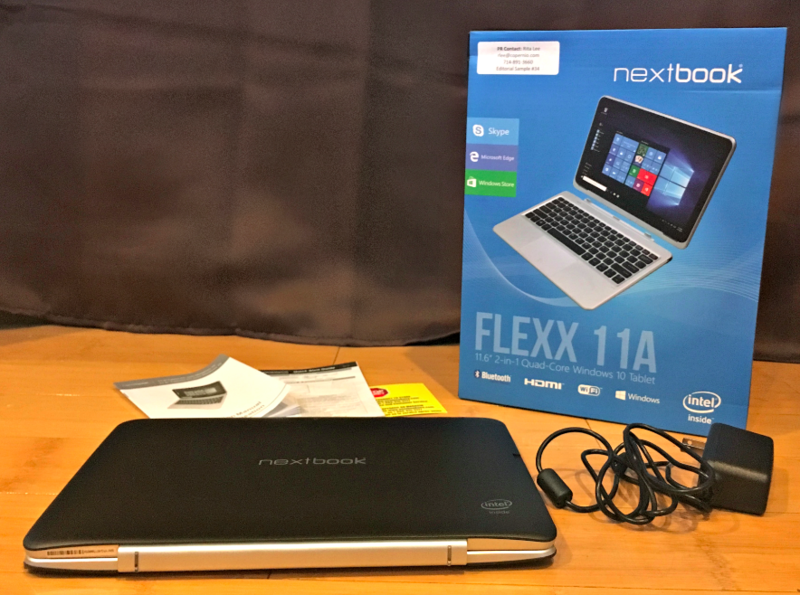 One lucky reader will receive a Nextbook Flexx 11A Windows Tablet/PC! To enter, use the below giveaway widget below. Giveaway will end on October 13, 2017 at 11:59 pm EST. Open to US residents who are at least 18 years old. Void where prohibited by law. No Purchase Necessary. I received a Nextbook Flexx 11A Windows Tablet to facilitate this review. Thoughts are my own. This blog will not be responsible for prize fulfillment. For questions regarding this giveaway, please contact Bay Area Mommy at alice(at)bayareamommy.net. I hope I win the laptop!!!! I like that it can be expanded from the 64gb another 64gb and the price is less than $200. Also that it is a very portable and can be used with or without the keyboard! Thank you! This would let me work anywhere! I love that it is lightweight and I love the two cameras! I love that the memory can be expanded! I love detachable keyboard and the light weight of it. It would be perfect to travel with. I like the price,the built in WiFi,the fact it has touch screen and a key board. I like the lightweight feature and the detachable keyboard. I like the portability of a tablet and the interface of a laptop. I like the 8 hours of battery life. I like that it has a bigger screen size than a regular Tablet, and that it has 64GB of internal memory, that can be expanded! What a great little machine. I like that it is portable and light weight and that I can do everything on it that I can do on my computer. I have never had a tablet so I love everything about it!!! I like the battery life and how lightweight it is. I like that the keyboard can be disconnected & it can be used as a laptop or a tablet. I like that it is close to the size of a tablet only with a keyboard. I also like that you can expand the memory if needed. I love that it has the detachable tablet part. I really like that this is detachable and expandable. Great options! I like the Micro SD card slot expandable to 128 GB! I love the portability with the detachable keyboard and that the storage is expandable. I like how lightweight and easily portable it is. I love that it’s inexpensive and can be expanded. I like that you can use it as a laptop or a tablet. Well for 1, the price is perfect! I love that its small and can fit into my bag and that internal memory that can be expanded. This would be awesome for my new business! I like the battery life and the detachable keyboard. I love that it’s a 2 in 1! I could either use it as a laptop or a tablet! Thanks for the awesome giveaway! I love the removable keyboard so it can be easily carried and used as a tablet. I like that it comes with a detachable keyboard, so you can use it as either a laptop or tablet! I like that it is light and portable. I like that the keyboard is detachable and that it has 64GB of internal memory that can be expanded by another 64GB with its microSD card slot. I like the size! Easy to transport and use for day to day stuff! I like that it has a detachable keyboard and a great battery life. I like that it’s small and you can take it on the go. Light and portable. I really like the detachable keyboard/touchscreen option along with expandable storage to 128 GB. I like that it has a quad intel processor, 8 hour battery and weighs less than 3 lbs. I like the portability and battery life. Also like that it can be used as a laptop or tablet . I really like that it can last for up to 8 hours on one battery charge, that really is a great feature! I really like that the memory is expandable to another 64GB! I love that it is easy to travel with and that I can do my work on it (I work at NCSU) and my sons can use it for HW. The keyboard option makes a huge difference. I like that it has 8 hours of charge time. I like the portability and the price, and that it can be expanded cheaply. I like the size! It would be awesome for traveling. I like that it is a touchscreen as well. I love that it has 8 hours of battery life and a nice camera! I love that the keyboard is detachable and that it is so light. It would be great to have on trips. I think the price is awesome & so is the battery life! 10/2 I like the 8 hours of battery life. I love the portability and the detachable keyboard! I love how light weight it is and that it has a battery life of 8 hours when fully charged! I like the screen size and that it can convert to a tablet. I also like the 8 hours of battery life. I love that it’s a 2 in 1 product and I LOVE the price of it too. I love how its light weight and has an 8 hour battery life! I like that it has a detachable screen. That makes it easier for me to take for my kids sports games. I like that it has a detachable keyboard! I like the battery life. I love that this is a 2 in 1 product and I love that it is a great price too. I like how light it is. I really like the battery life on the Nextbook Flexx 11A. I like the really long battery life. It’s a great product for someone on a budget! The price is very reasonable. I love that it has a has an 11.6” screen, which is nice and big, but still compact enough for me to put in my bag and take with me when I travel to work! I just read about the battery and how l9ng it lasts. I’ve never had one to last over 1 hour. 10/3 I like the 8 hours of battery life. I like the detachable keyboard its light 8 hys battery life. I love how light weight it is! I like how portable it is. Oh I love the weight and comes with the pogo keyboard! I like the 128GB of memory that you get – it can store so much! Thanks for the chance! I like that it is light weight. My favorite thing is the long battery life. Overall I love how compact it is since I travel a lot. It’s definitely perfect for my needs! I love the long 8 hour battery life. I like that it has eight hours of battery before you have to change again. I also like the long battery life of this computer! The 8 hours of battery life are appealing to me. I love that it has an 11.6 inch screen! I love that you can use as a tablet or a computer! I like the 64GB of internal memory so we can download our favorite apps. I like the 64GB of memory. I like the detachable keyboard!!! I like that the Tablet is so light and portable! I like the price of the computer. It’s very reasonable for what you get. I like the low price! How its detachable from the screen. I don’t always need a keyboard. the detachable keyboard looks amazing! I love that it is light weight and that is has 8hrs of battery life. I like that it runs on a Windows 10 operating system. It would be easy for my son to use because that’s what he uses on desktop. I like the 8 hour battery life! I like that the battery life is 8 hours. I like that it is lightweight. I like the screen size. I love the detachable keyboard! So convenient. I love the price and that it is lightweight! I like the 8 hours of battery life 10/6. I love that it is light weight and has 8 hours battery life. I like that it has 64GB of internal memory that can be expanded by another 64GB with its microSD card slot. I love that it’s portable with a detachable keyboard! I really love the 11.6” screen! Perfect size! I like that it is affordable. I love the detachable keyboard. I like the weight, the price and the overall looks of it! 10/7 I like the 8 hours of battery life. My favorite feature is that has has a pogo keyboard! I like the long 8 hours of batter life. Its at a good price. I like that it weighs only 3lbs and also the large 11.6” screen. Great for someone like me with bad vision. I like that you can use it like a laptop or tablet. The battery life is great too! I love the battery life, that it weights less than 3 lbs. and has a detachable keyboard. I love you can use it as a tablet. I like that it delivers a good quality image! I like that it has a detachable keyboard and 64GB of internal memory. Thanks. What a great idea, I too prefer word processing on a laptop because tablets seem limited for this function. This product is a fusion of both, plus the detachable keyboard is cool. 10/8 I like the 8 hours of battery life. I like that this Nextbook Flexx Tablet has built-in Wi-Fi and Bluetooth support for easy internet connection. I like that it has 64GB of internal memory. 10/9 I like the 8 hours of battery life. I like the 8 hour battery life. Thank you for the giveaway! I love that the key board is detachable. Great size and portability for a student. With all the programs they are used to having. I like that it has built-in Wi-Fi and Bluetooth support for easy internet connection. I like that you can expand the memory. This device has so many great features. I really love that it’s battery can last up to 8 hours on a full charge. Also, the built in wifi is great. This would be perfect for my college pre-nursing studies! I like that it is light weight! 10/10 We love the 8 hours of battery life. I like that this Nextbook Flexx Tablet supports Windows 10 OS and comes with a pogo keyboard! I love that it has 64GB of internal memory and can be expanded by another 64GB with its microSD card slot! That is a ton of space and room for more! Perfect for my family’s needs! I like the detachable keyboard and the long battery life. It’s the perfect size and will fit in my purse. I like the 8 hour battery life and detachable keyboard. I like that the memory is expandable. I like the keyboard. I like how it detaches. That means I can let both kids use it too. I like how long it will hold a charge. I like its portability and that it has 64GB of storage! I like the 8 hour battery life. I like that it’s convertible and has that detachable keyboard. I love the battery life of the Nextbook Flexx 11a. I like that it can be used as a desktop or tablet! I like the batter life. I like how affordable this Tablet is! I like that it has a detachable keyboard. I like that its convertible and weighs so little. I like the lightweight and the price. Thanks for the chance to win such an amazing giveaway. 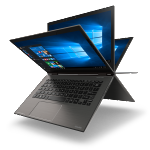 I think that the Nextbook Flexx 11A Convertible Tablet would function for both business and home life because of it’s power and speed. This looks like a very nice computing system. Another feature that I like about the Nextbook Flexx 11a is that it has 64GB of internal memory that can be expanded by another 64GB with its microSD card slot.